Get the pucks to your opponent's side! 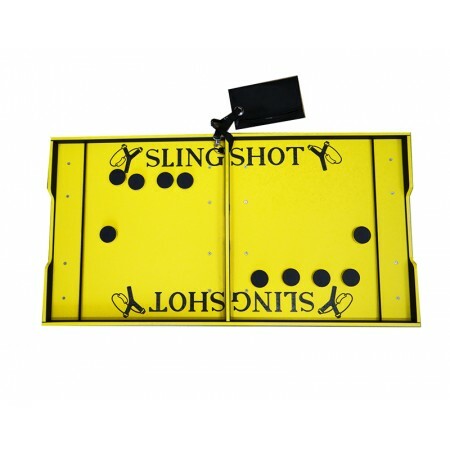 Be quick and sling your way to a victory! Game size: 22 x 42 x 3 in.